Lebanon's government is seeking to ban the new Wonder Woman movie because its lead actress is Israeli, although a formal request for a ban has yet to be received. Gal Gadot, a former Miss Israel, served in the Israel Defense Forces for two years before becoming an actress and has expressed support for Israeli soldiers. Lebanon has cited her nationality and past military service as its rationale for moving to keep Wonder Woman out of Lebanese movie theaters, the Times of Israel reported Tuesday. The Lebanese Ministry of Economy and Trade is in the process of getting the movie banned, although advertisements have appeared in parts of Beirut. A Lebanese security official told the Times that a ban would require a recommendation from a six-ministry-member committee, noting that such a process has not yet started. The Ministry of the Interior would then have to approve the recommendation for it to go into effect. Lebanon remains officially at war with Israel, and Israel-related content is subject to prior censorship, which officials can use to prevent Wonder Woman from being screened in the country. Other topics subject to censorship include Islam and homosexuality; the government claims the right to censor anything that would upset "political or military sensitivities." Lebanon also has a decades-old law that boycotts Israeli products and forbids Lebanese citizens from having contact with Israelis. 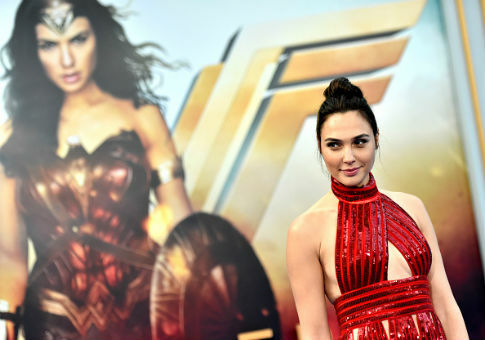 A group called the Campaign to Boycott Supporters of Israel-Lebanon has campaigned against showing Wonder Woman in Lebanon, praising the Ministry of Economy's position while decrying Gadot's past praise for Israeli troops. Gadot has publicly supported Israeli soldiers, angering anti-Israel activists. In 2014, the actress wrote a Facebook post to stand in solidarity with her fellow citizens during Israel's brief war with Hamas, a U.S.-designated terrorist organization, during the summer of 2014. "I am sending my love and prayers to my fellow Israeli citizens," Gadot wrote. "Especially to all the boys and girls who are risking their lives protecting my country against the horrific acts conducted by Hamas, who are hiding like cowards behind women and children." Before her time in the IDF, Gadot went to the Miss Universe competition as Miss Israel in 2004 and studied law. She went on to become an actress, appearing as Gisele Yashar in the Fast and Furious movies. She debuted as the character Wonder Woman in the 2016 movie Batman v. Superman: Dawn of Justice. Despite efforts to ban Wonder Woman, an advance premier of the movie is scheduled for Wednesday in at least one cinema in Beirut. This entry was posted in Culture and tagged IDF, Israel, Lebanon, Movies. Bookmark the permalink.